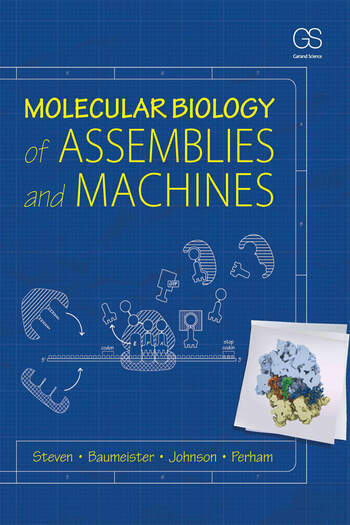 Molecular Biology of Assemblies and Machines presents a comprehensive narrative describing the structures of macromolecular complexes and how they assemble and interact. Richly illustrated, it is written for advanced undergraduates, graduate students, and researchers in biochemistry, structural biology, molecular biology, biophysics, cell biology, and microbiology, and will also appeal to those in chemistry, immunology, and medicine. Essentially all major biological activities are performed by assemblies of macromolecules (proteins, RNA, and DNA) acting in concert. These assemblies are dynamic and many are endowed with machine-like properties. This unique book explores the molecular mechanisms employed at the critical level between individual macromolecules and cells and organelles. Wolfgang Baumeister is Director and Head of the Department of Structural Biology at the Max Planck-Institute of Biochemistry in Martinsried, Germany. Baumeister studied biology, chemistry and physics at the Universities of Münster and Bonn and obtained his PhD from the University of Düsseldorf. In 1973, he began his career as Research Associate in the Department of Biophysics at the University of Düsseldorf and held a Heisenberg Fellowship spending time at the Cavendish Laboratory in Cambridge, England. In 1982 he became a Group Leader at the Max-Planck-Institute of Biochemistry in Martinsried, Germany and then appointed Director and Head of the Department of Structural Biology. Baumeister pioneered the development of cryo-electron tomography and his work has shaped the understanding of the structure and function of the cellular machinery of protein degradation. His awards include the Otto Warburg Medal, the Schleiden Medal, the Louis-Jeantet Prize for Medicine, the Stein and Moore Award, the Harvey Prize in Science and Technology and the Ernst Schering Prize. He is a member of several academies including the US National Academy of Sciences and the American Academy of Arts and Sciences. Louise N. Johnson was an Emeritus Fellow of the Corpus Christi College at the University of Oxford in Cambridge, UK. Johnson was educated at University College, London, and began her postgraduate career at the Royal Institution working with Lawrence Bragg and David Phillips. There she co-discovered the structure of lysozyme in 1965, then the second protein and first enzyme ever solved by X-ray crystallography. As the David Phillips Professor of Molecular Biophysics at Oxford from 1990 to 2007, Johnson led structural studies of regulatory proteins of the cell cycle, protein kinases, and glycogen metabolism, crucial to understanding the origin of disease and new drug design. In 1976, together with Tom Blundell, she coauthored the widely influential textbook Protein Crystallography. In 2003 she became Director of Life Sciences at the Didcot-based Diamond Light Source, establishing the UK's national synchrotron science facility. That same year, she was made a Dame of the British Empire. Among her other numerous honors, she was a Fellow of the Royal Society, a Foreign Associate of the American Academy of Sciences, and an Associate Fellow of the Third World Academy of Science. Richard N. Perham was Emeritus Professor of Biochemistry and former Master of St John’s at the University of Cambridge, UK. He earned both his BA in Natural Sciences and his PhD in Biochemistry from St John’s College at the University of Cambridge. He worked with Nobel laureate Frederick Sanger pioneering the field of protein engineering; his later work explored applications of multienzyme complexes in sustainable manufacturing and new pharmaceuticals, also known as synthetic biology. He was elected Fellow of St John’s in 1964 and taught as a Lecturer and Director of Studies in Biochemistry. He served as President of the College from 1983-1987, and became Head of the University’s Department of Biochemistry in 1985. From 2004-2007, Perham held the position of Master of St John’s. He was Editor of the European Journal of Biochemistry and was on the editorial board of the Journal of Structural Biology. Perham’s many accolades included Fellowships of the Royal Society and the Royal Society of Arts, the Max Planck Research Prize, the Novartis Medal and Prize for Biochemistry, Fellowship of the Academy of Medical Sciences and the Diplôme d’Honneur from the Federation of European Biochemical Sciences. Alasdair C. Steven is Senior Investigator in the Laboratory of Structural Biology Research at the National Institute of Arthritis, Musculoskeletal and Skin Diseases, National Institutes of Health (NIH). Steven received his MA in Mathematics from the University of Edinburgh and completed a Master's course in Mathematics and PhD in Theoretical Physics from the University of Cambridge. His postdoctoral work was with Eduard Kellenberger at the University of Basel, where he earned a Swiss Certificate in Molecular Biology. In 1978, he was appointed to a tenure-track position at the NIH and started a group specializing in computer-enhanced electron microscopy, which in 1990 was converted into the Laboratory of Structural Biology Research. Steven is past chair of the Gordon Conference on Three-dimensional Electron Microscopy of Biological Macromolecules, the FASEB Conference on Virus Assembly, and the 15th International Conference on Bacteriophage and Virus Assembly. He also serves as Editor-in-Chief of the Journal of Structural Biology. He was recognized as Distinguished Scientist in Biology by the Microscopy Society of America and received the Medal of First Medical Faculty from Charles University in Prague. In 2014, he was awarded the Eduard Kellenberger Medal by the International Federation of Societies for Microscopy. Steven is a Fellow of the American Academy for Microbiology.